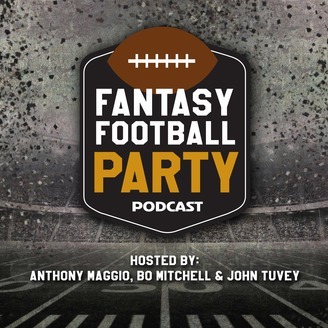 Anthony Maggio (1500 ESPN) Bo Mitchell (Sportradar) and John Tuvey (Fanball)--the trio behind Fanball's original Fantasy Football Pants Party podcast in the mid-2000s--are reunited for the very best in insightful fantasy football advice laced with comedy and mostly dated cultural references. 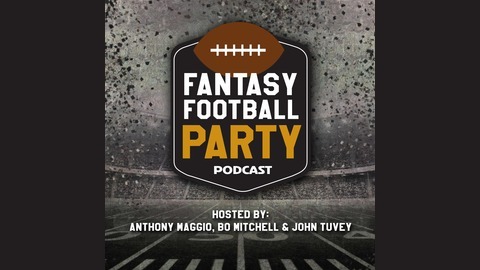 Join them for another full season of draft prep, free agent suggestions, lineup help, DFS advice, and everything else you need to win your league and run with the DFS big dogs--plus a couple of laughs along the way. 1500 ESPN's Fantasy Football Party is available EVERY Thursday from the start of the preseason through Week 16.